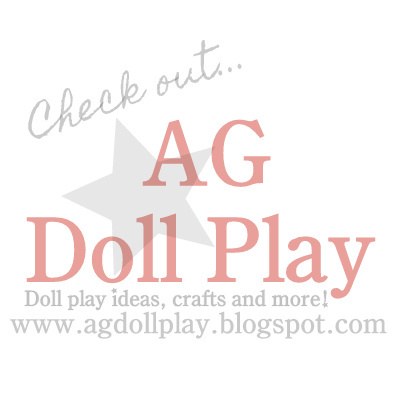 American Girl Doll Play: Memorial Day Weekend Sales from Lil Blue Boo and 4 Ever Princess! Memorial Day Weekend Sales from Lil Blue Boo and 4 Ever Princess! Happy Memorial Day weekend everyone! For those that aren't fans on Facebook, I wanted to pop on and share with you that things are extra busy here these next few weeks since the end of the school year is upon us. My husband and I are both teachers and Zoey is of course in school as well so we are busy, busy, busy!!! I can't wait for things to get back to normal and we can share some more fun Doll Play with you! Until then, have fun preparing for your doll(s) summer fun! 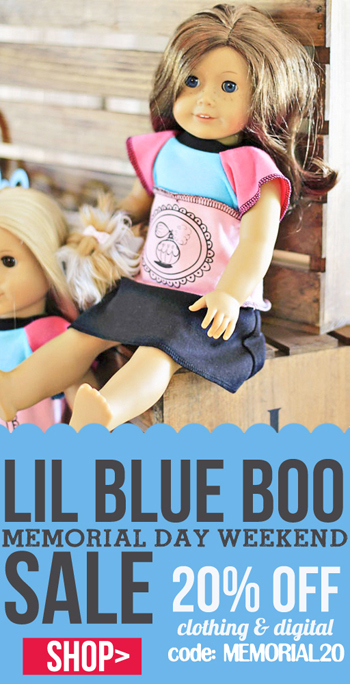 I wanted to share with you this great deal from Lil Blue Boo this weekend, she has some great patterns, doll clothing, girl clothing and more! Just click on the image below to go to the sale. And, I also wanted to share with you that 4 Ever Princess is on Zulily today! They have some adorable matching girl and doll outfits on sale. Check them out here. It looks great! I love your blog. Thanks for commenting! I hope you are enjoying the holiday weekend!